Networks are everywhere. From the Internet to networks in economics, networks of disease transmission, etc, the imagery of the network pervades our modern culture. What exactly do we mean by a network? What different kinds of networks are there? And how does their presence affect the way that events happen? In the past few years, a diverse group of scientists and researchers, including mathematicians, physicists, computer scientists, sociologists, and biologists, have been actively pursuing these questions and building in the process the new research field of network theory, or the “science of networks”. The study of networks has had a long history in mathematics and natural sciences. Briefly, in 1736, the great mathematician Leonard Euler became interested in a mathematical riddle called the Königsberg Bridge Problem. The city of Königsberg was built on the banks of the Pregel River in what was then known as Prussia, and on two islands that lie in midstream. A popular brain-teaser of the time asked, “Does there exist any single path that crosses all seven bridges exactly once each?” Legend has it that the people of Königsberg spent many fruitless hours trying to find such a path before Euler proved the impossibility of its existence. In the 1780s, Euler invented network theory and for most of the last two hundred years, network theory remained a form of abstract mathematics. A network is made up of nodes and links and mathematicians assumed the links between the nodes were randomly distributed. If there exist, let’s say, 10 nodes and 50 links, they assumed the distribution would be random and each node would get, on average, five links. For years, mathematicians explored the properties of these random-distribution networks. Nowadays, we see the Internet as a source of networks: of people, of groups, of hashtags at Twitter, of social clusters at Facebook, etc. The Internet was originally designed by the American Military to be randomly distributed with no pattern in order to create a communications network that could survive an attack. In the 1990s, physicists began studying the internet because it was an example of a network in which all the nodes and links could be tracked. Computer scientists soon realized that the Web was not randomly distributed. Maps of the web showed that some nodes had huge numbers of links, while most nodes had only a few links. In biomedicine, the impacts of networks have just recently been tackled. In my article in 2013, on the cover of the journal Drug Discovery Today, I wrote that “Social networks can be seen as a nonlinear superposition of a multitude of complex connections between people where the nodes represent individuals and the links between them capture a variety of different social interactions. In addition, “…the emergence of different types of social networks has fostered connections between individuals, thus facilitating data exchange in a variety of fields.” (see my review article “Social networks, web-based tools and diseases: implications for biomedical research”). Networks of people and how to make sense of it are the hot wave today. A social network is a social structure made up of individuals (or organizations) called “nodes”, which are tied (connected) by one or more specific types of interdependency, such as friendship, kinship, common interest, financial exchange, dislike, sexual relationships, or relationships of beliefs, knowledge or prestige (for more information check “Social Network Analysis – Theory and Applications”). One can identify a person and the connections a specific person has, how influential he or she is and what social interactions a person has. In addition, the science of networks has been applied for businesses since companies that embed themselves into the social network of an industry by creating lots of contacts (links or nodes of the network) to other companies, suppliers, industry magazines, customers, government, and workers will have a tendency to grow, because the node with the most links will get more links. In life sciences, the science of networks transforms data collection into actionable information that will improve individual and population health, deliver effective therapies and, consequently, reduce the cost of healthcare. These novel tools might also have a direct impact in personalized medicine programs, since the adoption of new products by health care professionals in life sciences and peer-to-peer learning could be improved using social networks (see more at my article “The Impact of Online Networks and Big Data in Life Sciences”). Thus, the science of networks could also help the industry gain insights into how people use and react to pharmaceuticals and medical devices; and how they benefit from them. Such accumulation of information could be applied into the product development process as a “lean” process to test new products. The impact of the science of networks and social networking are immensurable in the scientific and biomedical communities. It is just the beginning for this area of research and I believe that there is a lot more to come. Welcome to the Networking Era! Early in 2001, the Human Genome Project gave us a complete read out of our DNA. The elucidation of the human DNA sequence was important to give us all the instructions to make a human being; however we are just starting to realize how the instructions are indeed incomplete. Researchers were able able to uncover 3 billion letters of the DNA molecule, but just roughly 2% (around 25,000 protein-coding genes) corresponded to the building blocks (or proteins) of the cells. Based on that, many biologists suspected that the information responsible for the complexity in human cells could be somewhere in the “deserts” between the protein-coding genes. ENCODE, which stands for Encyclopedia of DNA Elements (for more information see the article “The Human Encyclopaedia” on Nature) is a project that started in 2003 with a massive data-collection effort uniting several laboratories all over the world. The main objective was to understand the deserts between protein-coding genes, catalogue the “functional” parts of the DNA sequence and understand their regulation. In summary, the objective of the ENCODE Project was to show if the rest of the genome, more specifically the non-coding areas, were doing something important inside the cells. An interesting fact from ENCODE is that it was a consortia created between groups that are generally competitors. These groups generated an incredible amount of information that was collected, stored and analyzed. Indeed, science today is increasingly “social”, especially in fields such as genomics in which huge amounts of data are generated. In such projects, collaboration between groups is key. This project was only possible because of collaboration. It was also a good training for researchers in big scientific projects that will be more common from now on. 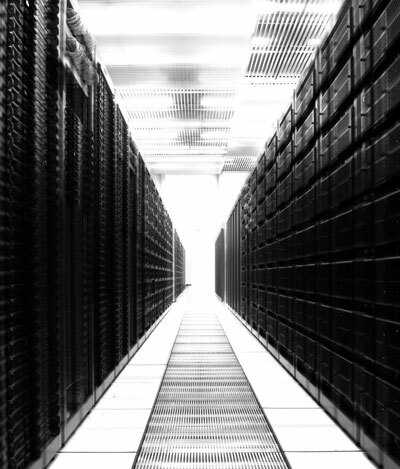 In these projects, tons of data are generated, stored, transferred and analyzed. After almost 10 years of intensive data analysis, researchers involved in this Project published their results in 30 papers across three different journals. According to ENCODE’ s main conclusions, more than 80 percent of our genome has a “biochemical function”. These regions were classified as “junk” for a long time, but ENCODE is showing that they are the opposite. Tom Gingeras, one of the study main scientists, declared that “Almost every single nucleotide is associated with a function of some sort or another in the genome” (see more in the DISCOVER Magazine), reinforcing the idea of functionality for most genome. And what about the remaining 20 percent of human’s DNA? Researchers believe that these remaining regions are not “junk” either. ENCODE looked at hundreds of cell types, but the human body has thousands. A given part of the genome might control a functional element in one cell type, but not in others, and the complexity of information could be even higher. Again, the researchers claim that ENCODE has one important implication, which is to redefine what is a “gene”. This new study has changed the view of the genome as we knew it since the functional elements have lots of overlap. And since we are the most complex organism out there, it is not surprising that the results are the same way. The new definition for a “gene” suggests that it is a collection of transcripts, united by a common factor, with a function that could be either in the genome itself or in biochemical reactions within a cell. Human genome research is far from finished, and this could go on for decades (if not forever…). For those who though that the elucidation of the sequence of the human DNA was enough to understand a human being, a big lesson has been learned. The complexity of the information from ENCODE will probably need another decade to be fully understood. In fact, ENCODE is just the start for a big journey inside human cell’s DNA. We are just beginning to build a guide for our genome (Image Source: Nature Journal). 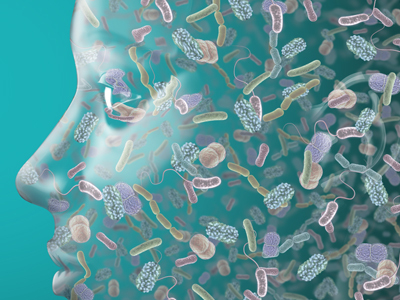 Microbiome – the extension of our genome? You are currently browsing the archives for the Basic Sciences category.